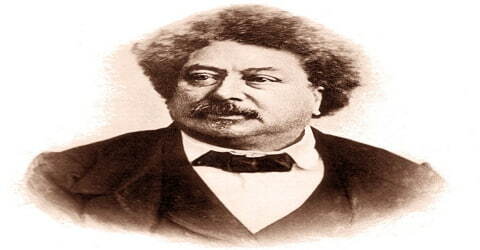 Alexandre Dumas – French writer. 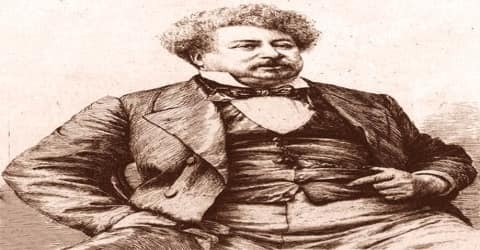 Alexandre Dumas, the French author of many plays, popular romances, and historical novels, was born on July 24, 1802, near Soissons, France, the son of a Creole general of the French Revolutionary armies. His works have been translated into many languages, and he is one of the most widely read French authors. Many of his historical novels of high adventure were originally published as serials, including The Count of Monte Cristo, The Three Musketeers, Twenty Years After, and The Vicomte de Bragelonne: Ten Years Later. His novels have been adapted since the early twentieth century for nearly 200 films. Dumas’ last novel, The Knight of Sainte-Hermine, unfinished at his death, was completed by scholar Claude Schopp and published in 2005. It was published in English in 2008 as The Last Cavalier. The son of a French Army General, he grew up hearing stories of his father’s bravery in the wars which kindled in him a profound interest in historical events. His father died when Alexandre was just four years of age. This caused great financial distress to his mother, who could not provide for her son’s education. The would-be author had an innate love for the words and read whatever books he could lay his hands on; he even taught himself Spanish through self-education. He began his writing career by penning down articles, essays, and plays. The success of his plays motivated him to write novels, which he published first in a serialized format in newspapers. Though married, in the tradition of Frenchmen of higher social class, Dumas had numerous affairs (allegedly as many as forty). In his lifetime, he was known to have at least four illegitimate children; although twentieth-century scholars found that Dumas fathered another three other children out of wedlock. 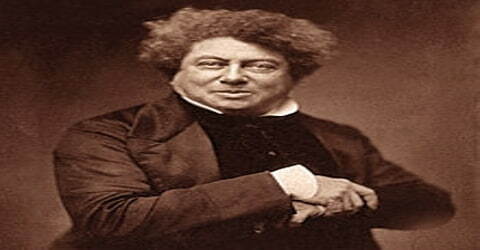 He acknowledged and assisted his son, Alexandre Dumas, to become a successful novelist and playwright. 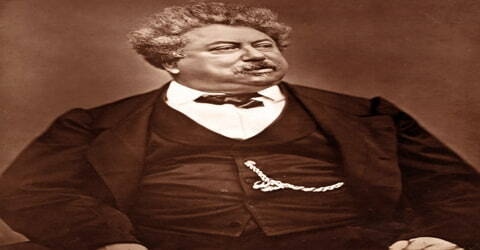 They are known as Alexandre Dumas père (‘father’) and Alexandre Dumas fils (‘son’). Among his affairs, in 1866, Dumas had one with Adah Isaacs Menken, an American actress then less than half his age and at the height of her career. In collaboration with other writers, the most notable of whom was Auguste Maquet, he produced several works of fiction which made him immensely popular. His works have been translated into nearly 100 languages and adapted into over 200 films a fact which makes him one of the best-loved authors of the 19th century. Dumas Davy de la Pailleterie (dyma davi də la pajətʁi), also known as Alexandre Dumas père, was born on July 24, 1802, Villers-Cotterêts, Aisne, France. He was the son of Marie-Louise and Thomas-Alexandre Dumas, a French Army General who served in the French Revolutionary Wars. He had one sister. He had two older sisters, Marie-Alexandrine (born 1794) and Louise-Alexandrine (born 1796, died 1797). His grandfather was from a noble family, and his grandmother had been a Dominican slave. Dumas’s father died of cancer when he was four years old, leaving the family with very little money. Dumas was not a very good student, but his handwriting was noticeably beautiful, and he studied to work as a notary (a public officer who witnesses the signing of important documents and makes them official). He also began writing musical comedies and then historical plays in collaboration (working together with others) with a poet friend named Adolphe de Leuven. Historical subjects, as well as his ability to collaborate, were to be permanent elements of Dumas’s work during his career. 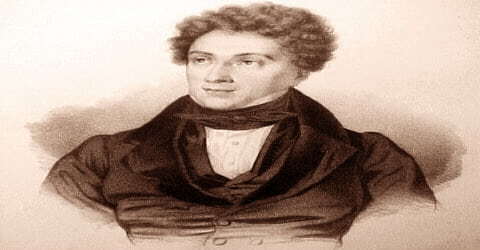 In 1822, after the restoration of the monarchy, the 20-year-old Alexandre Dumas moved to Paris. He acquired a position at the Palais Royal in the office of Louis-Philippe, Duke of Orléans. He had a great sense of imagination which was further fuelled by the stories his mother told of his father’s bravery during the French Wars. On 1 February 1840, Dumas married actress Ida Ferrier (born Marguerite-Joséphine Ferrand) (1811–1859). This famous writer was well-known for his romantic liaisons with several other women which resulted in the birth of at least four illegitimate children. In spite of being a highly successful writer who earned good money during his peak, Dumas wasted away all his wealth on an extravagant lifestyle. About 1866, Dumas had an affair with Adah Isaacs Menken, a well-known American actress. She had performed her sensational role in Mazeppa in London. In Paris, she had a sold-out run of Les Pirates de la Savanne and was at the peak of her success. These women were among Dumas’ nearly 40 mistresses found by scholar Claude Schopp, in addition to three natural children. Dumas was appointed at the Palais Royal in the office of Loius-Philippe in 1822 owing to his late father’s distinguished reputation. During this time he also began writing articles and plays. He read and attended the theater as much as he could during his time off. He was greatly influenced by the works of William Shakespeare (1564–1616) and wrote his first plays in 1825 and 1826. Others followed, with Henri III et sa cour (1829) bringing him great success and popularity. The revolution of 1830 slowed down Dumas’s writing, and he became a strong supporter of the Marquis de Lafayette. His political activities were viewed unfavorably by the new king, his former boss, and he was forced to leave France for a time. A series of amusing travel books resulted from this period of exile. While working for Louis-Philippe, Dumas began writing articles for magazines and plays for the theatre. As an adult, he used his slave grandmother’s surname of Dumas, as his father had done as an adult. His first play, Henry III and His Courts, produced in 1829 when he was 27 years old, met with acclaim. The next year, his second play, Christine, was equally popular. These successes gave him sufficient income to write full-time. The commercial success of his plays motivated him to explore other writing genres. During the 1830s, newspaper serials were gaining in popularity and he rewrote one of his plays as a serial novel – ‘Captain Pamphile’ in 1838. From 1839 to 1841, Dumas, with the assistance of several friends, compiled Celebrated Crimes, an eight-volume collection of essays on famous criminals and crimes from European history. He featured Beatrice Cenci, Martin Guerre, Cesare, and Lucrezia Borgia, as well as more recent events and criminals, including the cases of the alleged murderers Karl Ludwig Sand and Antoine François Desrues, who were executed. In 1840, he published the novel ‘The Fencing Master’ with the help of his fencing master Augustin Grisier. The novel was banned in Russia due to its reference to the Decembrist revolt in Russia. Dumas often collaborated with other writers while working on his novels. The most famous of his collaborators was the playwright Auguste Maquet with whom he wrote the highly popular ‘The Three Musketeers’ in 1844. The best known of his works are Les Trois Mousquetaires (published 1844, performed 1845; The Three Musketeers), a romance about four swashbuckling heroes in the age of Cardinal Richelieu; Vingt ans après (1845; “Twenty Years After”); Le Comte de Monte Cristo (1844–45; The Count of Monte Cristo); Dix ans plus tard ou le Vicomte de Bragelonne (1848–50; “Ten Years Later; or, The Vicomte de Bragelonne”); and La Tulipe Noire (1850; “The Black Tulip”). When success came, Dumas indulged his extravagant tastes and consequently was forced to write more and more rapidly in order to pay his creditors. He tried to make money by journalism and travel books but with little success. Dumas worked with many collaborators who helped him with the outlines of his romances. The scale of his “fiction factory” has often been exaggerated. Although at least a thousand works were published under his own name, most were due to his own hard work and amazing imagination. Dumas’s works were received with enthusiasm by his loyal readers, and he earned a lot of money. He could never earn enough to keep up with his spending habits, however. Among his problems was his estate of Monte-Cristo in Saint-Germain-en-Laye, France, which attracted many hangers-on and female admirers who Dumas ended up supporting. Dumas wrote in a wide variety of genres and published a total of 100,000 pages in his lifetime. He also made use of his experience, writing travel books after taking journeys, including those motivated by reasons other than pleasure. Dumas traveled to Spain, Italy, Germany, England, and French Algeria. After King Louis-Philippe was ousted in a revolt, Louis-Napoléon Bonaparte was elected president. As Bonaparte disapproved of the author, Dumas fled in 1851 to Brussels, Belgium, which was also an effort to escape his creditors. About 1859, he moved to Russia, where French was the second language of the elite and his writings were enormously popular. Dumas spent two years in Russia and visited St. Petersburg, Moscow, Kazan, Astrakhan and Tbilisi, before leaving to seek different adventures. He published travel books about Russia. He wrote of his experiences in his travel memoirs, the most popular of which were ‘A Year in Florence’ (1841), ‘From Paris to Cadiz’ (1847) and ‘Travel Impressions: In Russia’ (1860). In March 1861, the kingdom of Italy was proclaimed, with Victor Emmanuel II as its king. Dumas traveled there and for the next three years participated in the movement for Italian unification. He founded and led a newspaper, Indipendente. While there, he befriended Giuseppe Garibaldi, whom he had long admired and with whom he shared a commitment to liberal republican principles as well as membership within Freemasonry. Returning to Paris in 1864, he published travel books about Italy. In 1970, the Alexandre Dumas Paris Métro station was named in his honor. 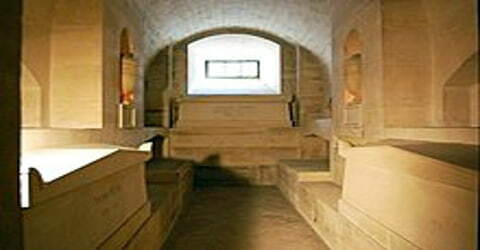 His country home outside Paris, the Château de Monte-Cristo, has been restored and is open to the public as a museum. In 2002, for the bicentennial of Dumas’ birth, French President Jacques Chirac had a ceremony honoring the author by having his ashes re-interred at the mausoleum of the Panthéon of Paris, where many French luminaries were buried. The proceedings were televised: the new coffin was draped in a blue velvet cloth and carried on a caisson flanked by four mounted Republican Guards costumed as the four Musketeers. It was transported through Paris to the Panthéon. Dumas père died in poverty on December 5, 1870. He was buried at his birthplace of Villers-Cotterêts in the department of Aisne. His death was overshadowed by the Franco-Prussian War. Changing literary fashions decreased his popularity. In the late 20th century, scholars such as Reginald Hamel and Claude Schopp have caused a critical reappraisal and new appreciation of his art, as well as finding lost works. His most famous work is ‘The Count of Monte Cristo’, an adventure novel that unfolds in the 19th century and covers the historical events that happened in France, Italy, and the Mediterranean Islands. The book is considered a literary classic. In June 2005, Dumas’ last novel, The Knight of Sainte-Hermine, was published in France featuring the Battle of Trafalgar. Dumas described a fictional character killing Lord Nelson (Nelson was shot and killed by an unknown sniper). Writing and publishing the novel serially in 1869, Dumas had nearly finished it before his death. It was the third part of the Sainte-Hermine trilogy. ‘The Three Musketeers’ is another one of his very popular works which revolve around the adventures of a young man named d’Artagnan and his three friends. The story has been adapted into several plays, films, television series, and video games. Dumas is briefly mentioned in the 2012 film Django Unchained. The Southern slaveholder Calvin Candie expressed admiration for Dumas, owning his books in his library and even naming one of his slaves D’Artagnan. He is surprised to learn from another white man that Dumas was black (his father’s mother was a slave of African descent).